Avian Ambassadors is pleased to announce the dates of the 10th Annual Raptor Handling Class.The class, presented by Avian Ambassadors’ founder Sid Price, will be held on the weekend of July 13th/July 14th 2013 at the Marriott Hotel in Albuquerque, NM. Running from 9 am until 4 pm on Saturday and Sunday the class is an excellent opportunity for both beginning and experienced raptor presenters to learn the most contemporary, science based approaches to handling raptors for educational programs.The hands-on workshop will cover equipment usage, handling techniques, and the science of behavior change. Once again our special guest presenter for the fifth year will be Robin Shewokis of the Leather Elves. 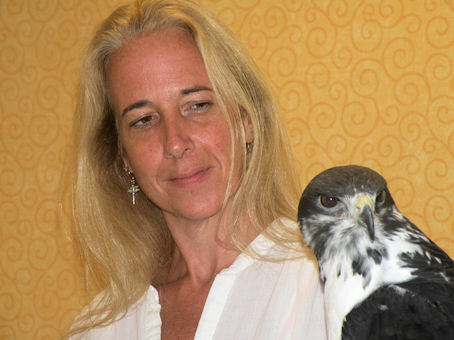 Robin is a renowned enrichment consultant to zoos and the companion bird community. 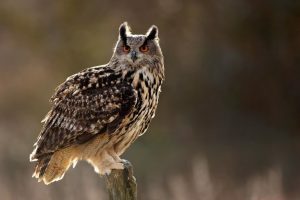 She will present a special workshop segment about enriching the lives of captive raptors. The cost of the two-day class is $115.00. This includes printed class handbook and a light lunch on both days. Pre-registration is required and class size will be limited to ensure all students get maximum time “hands-on” with our birds – contact us (classes avianambassadors com?subject=8th%20Annual%20Raptor%20Handling%20Class) today for your registration form or call (505) 349 5714. We look forward to hearing from you! Register and pay before Jun 8th, 2013 at the reduced fee of $105. 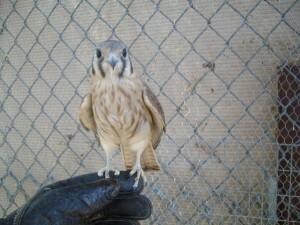 Avian Ambassadors is pleased to announce the dates of the 9th Annual Raptor Handling Class.The class, presented by Avian Ambassadors’ founder Sid Price, will be held on the weekend of June 30/July 1st 2012 at the Marriott Hotel in Albuquerque, NM. Once again our special guest presenter for the fourth year will be Robin Shewokis of the Leather Elves. 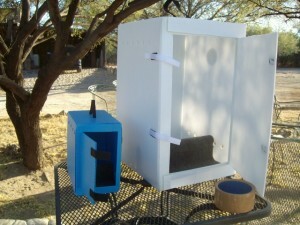 Robin is a renowned enrichment consultant to zoos and the companion bird community. She will present a special workshop segment about enriching the lives of captive raptors. The cost of the two-day class is $115.00. This includes printed class materials and a light lunch on both days. Pre-registration is required and class size will be limited to ensure all students get maximum time “hands-on” with our birds – contact us (classes avianambassadors com?subject=8th%20Annual%20Raptor%20Handling%20Class) today for your registration form or call (505) 349 5714. We look forward to hearing from you! Register and pay before May 31, 2012 at the reduced fee of $105.